The Seco Claw Pole Clamp with Compass is designed to prevent the user from over tightening the pole clamp screw and accidentally crushing or cracking the pole. 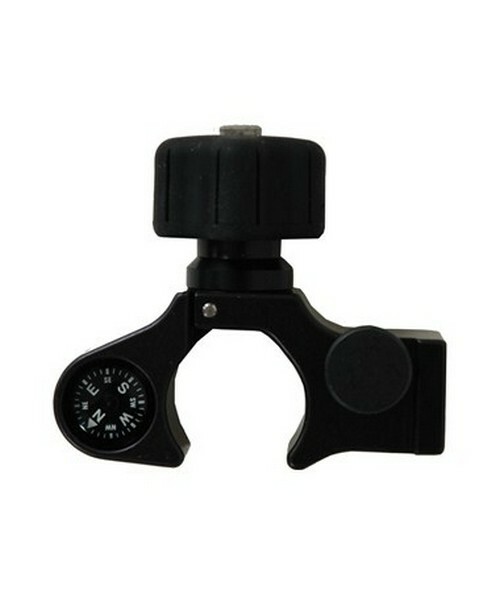 Made of durable anodized aluminum, this clamp is compatible with quick-release cradles. Designed to fit a pole diameter of 1 to 1.25-inch, the Seco clamp features a compass and only weighs 0.38 lb.